That’s exactly right Jonathan – parallel universe. It’s quite unlike any other road – and peaceful, yes, that’s exactly it, and perhaps why some drive it so slowly. Yes I think I would want to drive slowly along that road, maybe even stop to get a photo or two – nice capture Paul with great shadows..
Beverley, believe it or not, I was actually driving very slowly… while taking this photo! :) I happened to have my camera handy on my lap. The was no traffic, and it was such a beautiful scene that I just raised the camera, hit the ON button, and snapped the shot. There are unfortunately no safe places to stop (in the direction that I was traveling) and only one or two in the other direction. It’s actually prettier than the photo shows – there are beautiful vineyards to the right of the picture. This is near Durbanville on the road from Blouberg/Milnerton, if I am not mistaken. My mom and I spent some time in the beautiful Cape in March and we stayed in Durbanville. 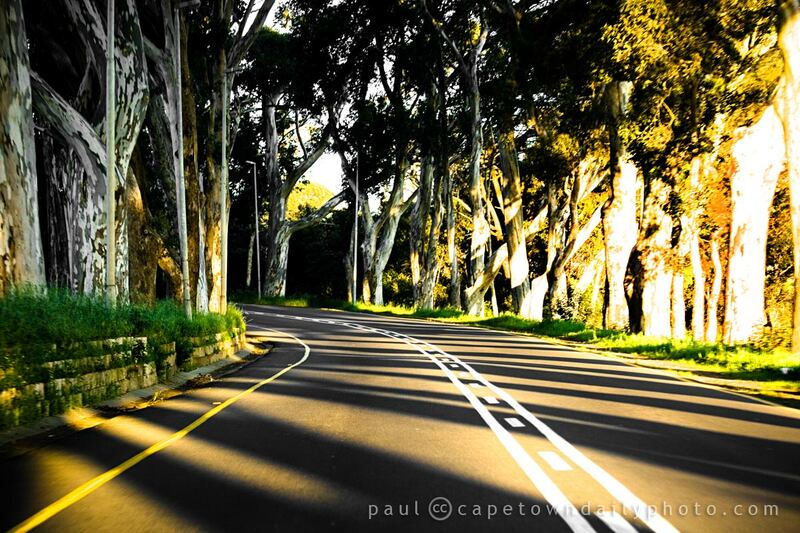 We often used this road into the city instead of the N1. I soo wanted to take a photo there, but as you say places to stop are very scarce. I am staying in Bloemfontein and I regularly visit your site. Your pictures are absolutely beautiful. Dawn, yes, you clearly traveled the road often. :) And, yes, the route you took to the city is FAR prettier than the highway. Thanks for the compliment!